I know it is still a ways off, but I was curious if anyone was planning on attending Kikori Con 2013 (November 9-11) in Flagstaff, AZ. I've lived in Flagstaff for about 3 years now and I was sad to see Anime Kaigi go last year as I never had the chance to attend. However, I am glad to see that Flagstaff will still have a convention. I'd like to go but I have no idea how I could get there. Thanks for the reminder on this event. 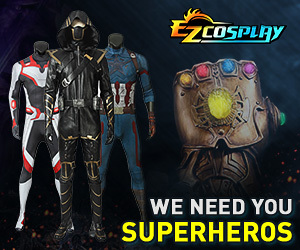 Let me know here at http://www.cosplay.com if you decide to go.